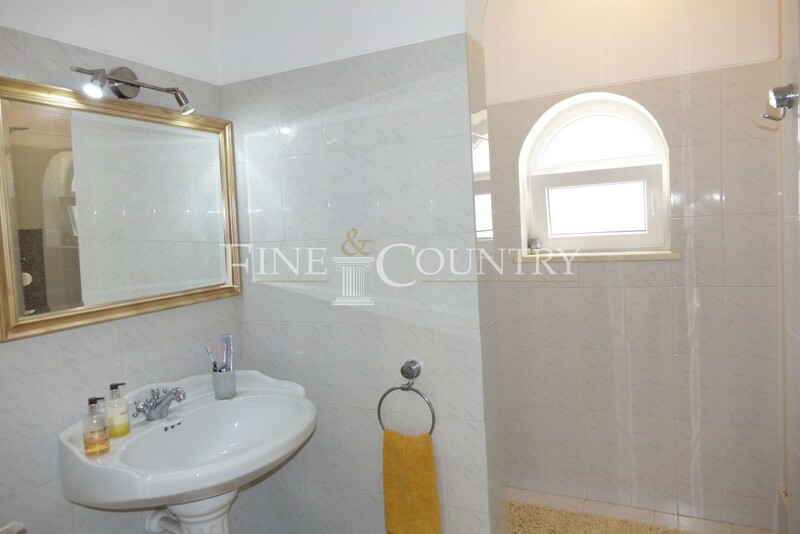 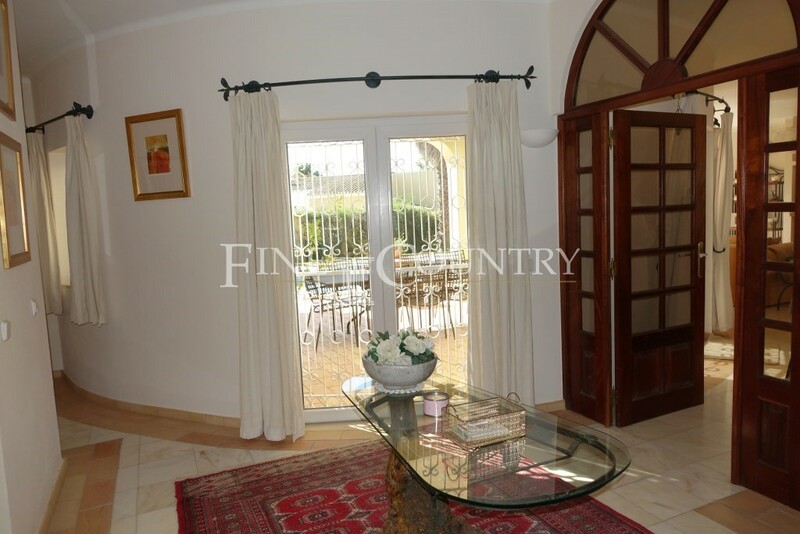 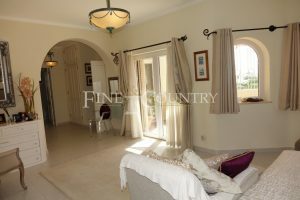 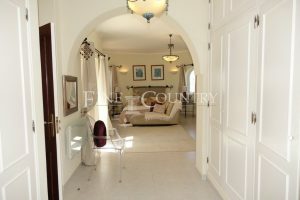 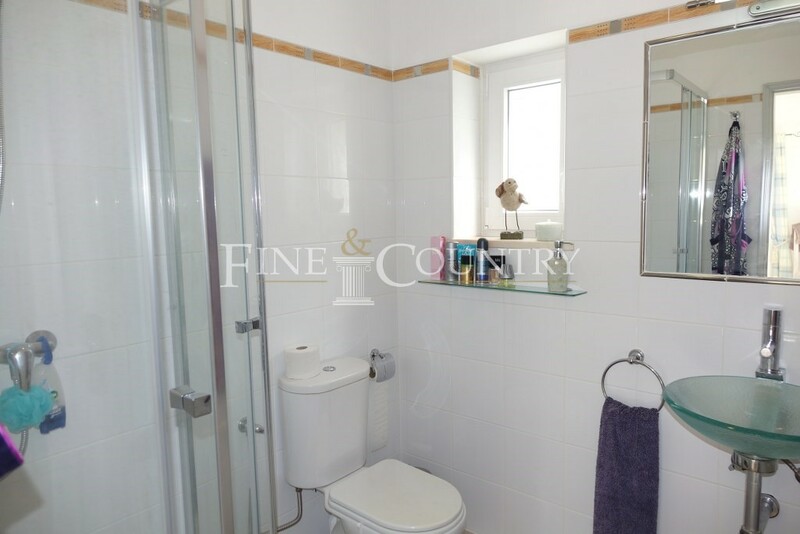 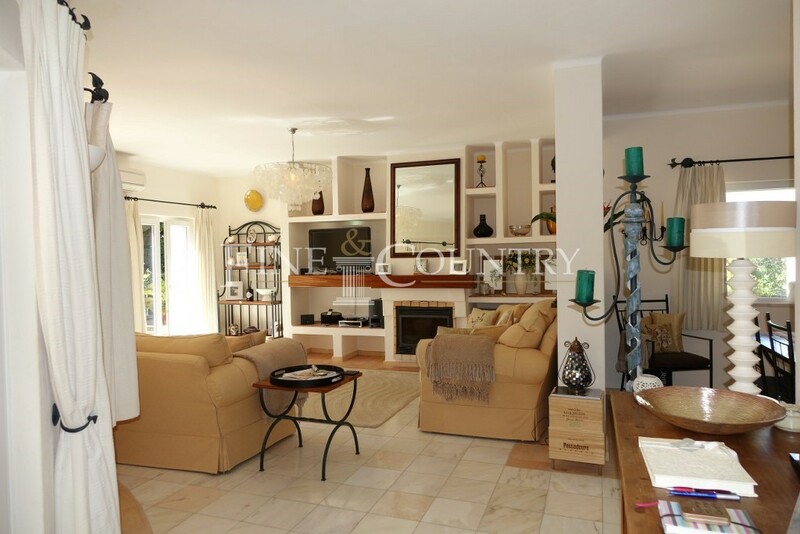 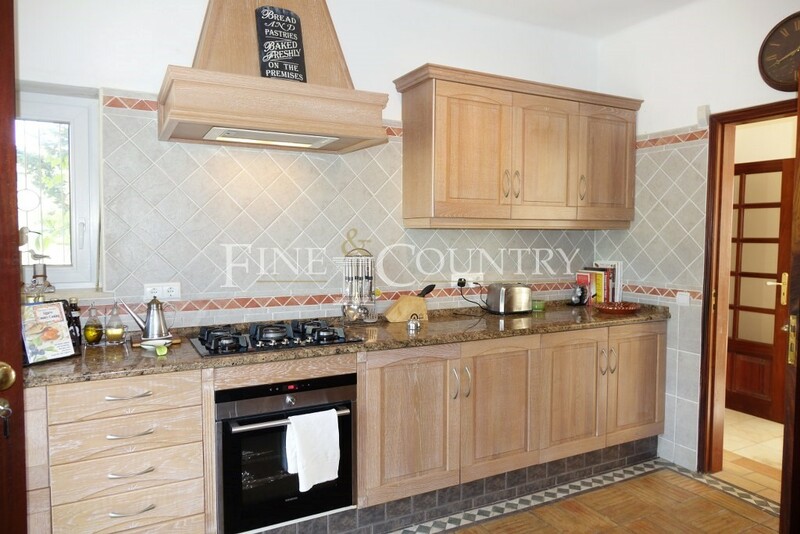 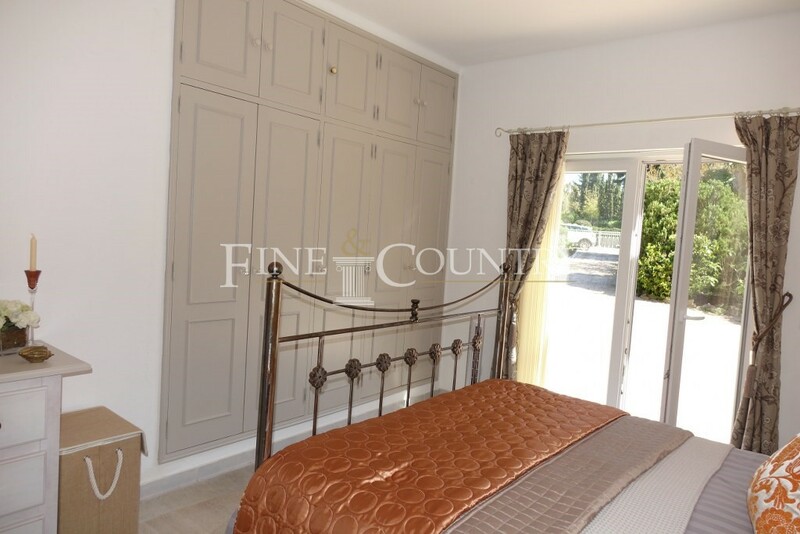 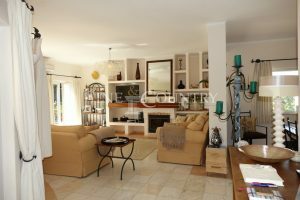 This well-maintained two-storey detached 4-bedroom villa with pool and a built area of 220 m2 is set on a 1.296,56 m2 plot and offers some sea views from the first floor. 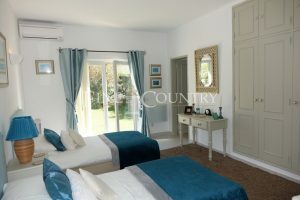 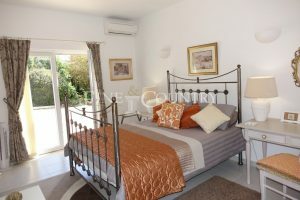 The villa has been constantly refurbished whilst keeping its traditional features, thus retaining much of its charm. 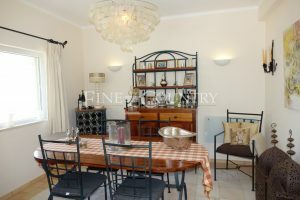 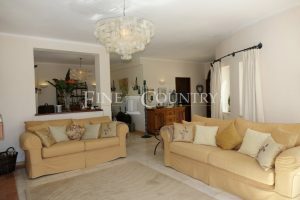 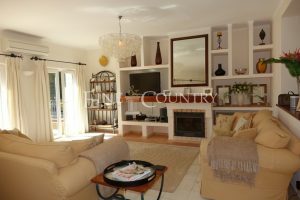 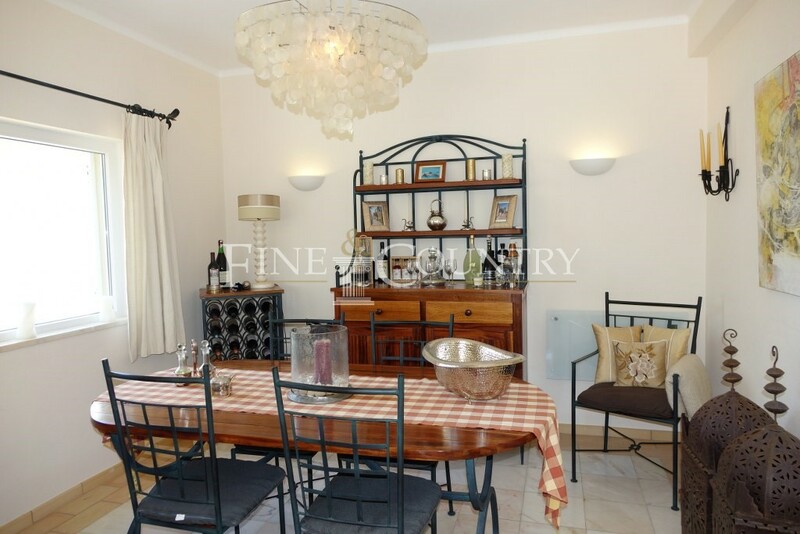 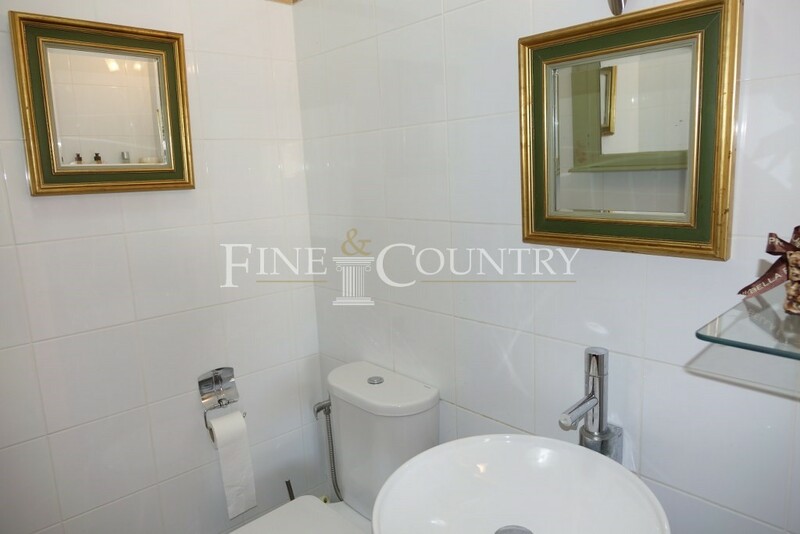 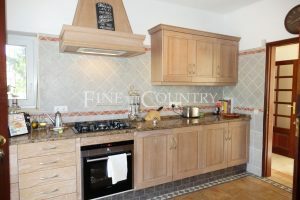 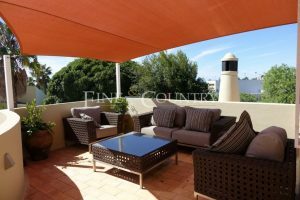 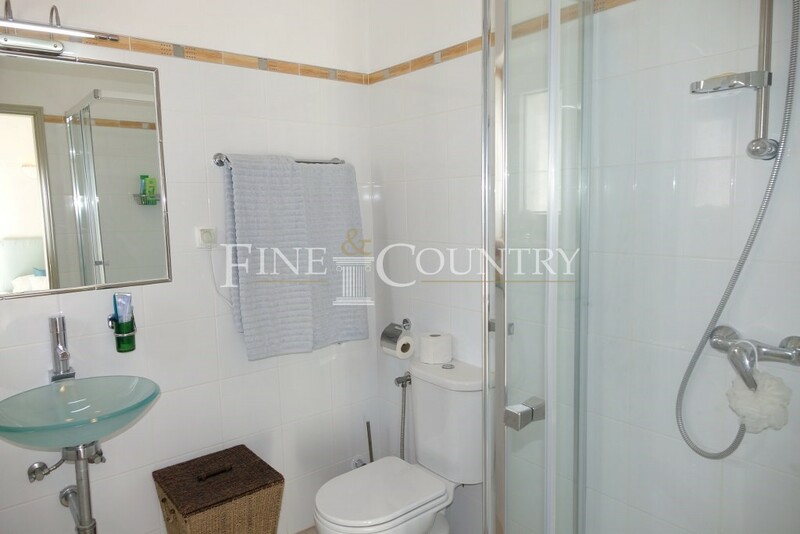 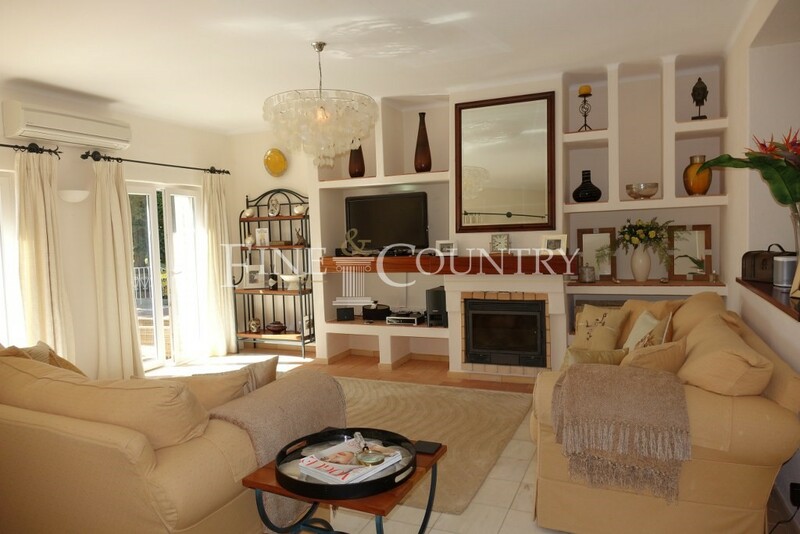 It´s located in the quiet residential area of Quinta Rosal close to the popular Carvoeiro Tennis Centre and many famous nearby beaches, bars and restaurants. The entrance hall of the fully air-conditioned villa leads to 3 en-suite double bedrooms, a guest-WC, a storage, the fully fitted kitchen with direct access to the carport and the cosy lounge/ dining area with log burning fire. 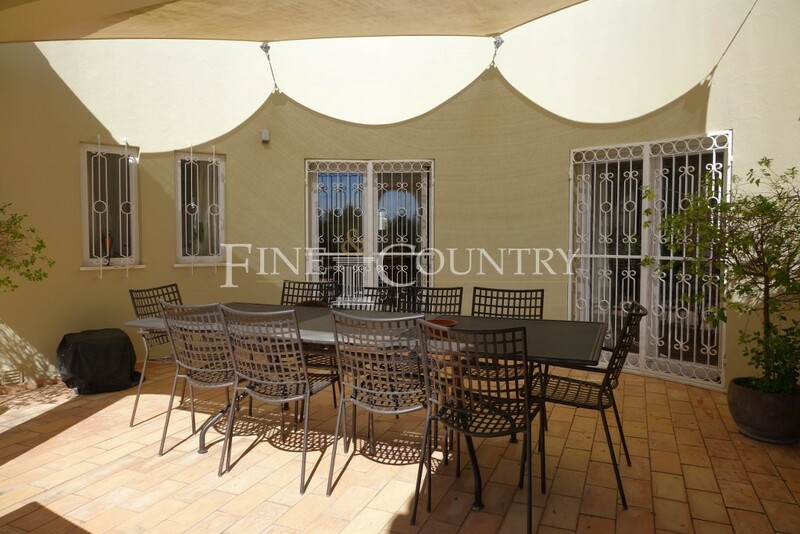 Three pairs of sliding doors lead out to extensive covered and uncovered terraces and the pool. 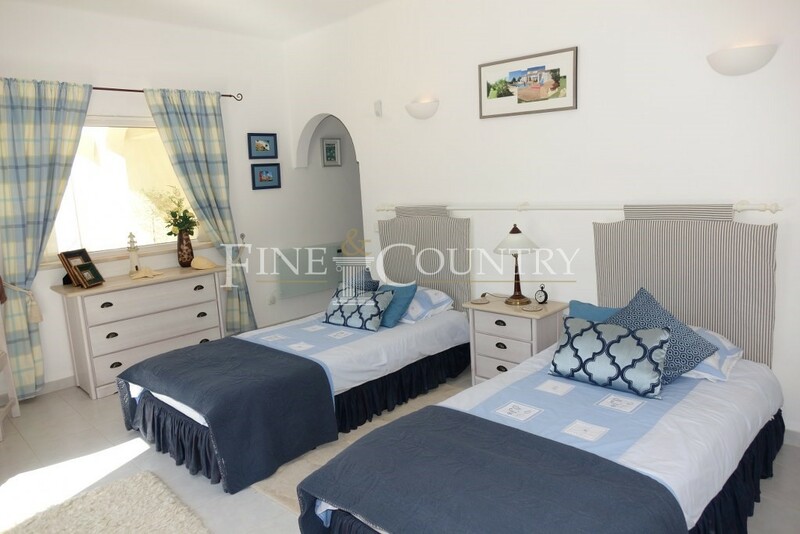 The first floor hosts a small office space and the master-bedroom suite with dressing area and access to a private terrace offering partial sea views. The nicely landscaped garden on the outside surrounds the pool area with a built-in BBQ and the outside dining area. 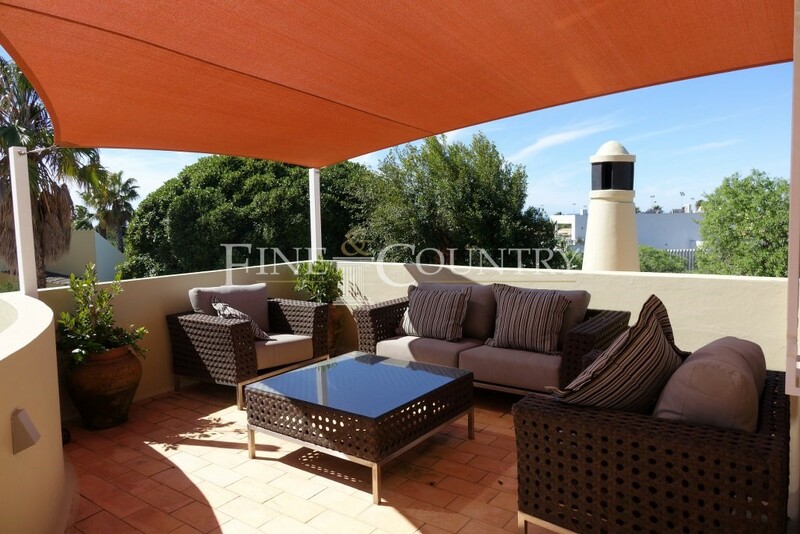 There is plenty of space for sun loungers and privacy to a high degree. Further features: double-glazed white PVC-framed windows + fly screens + white manual aluminium shutters, log burning fire, fully air conditioned (DAIKIN), electric wall heaters, heatred towel rails in the bathrooms, gas (bottles) for hot water + gas hob, private chlorine pool (no cover/ not heated – heat exchanger there, but not connected), pool-side shower, terracotta tiles around the pool, fitted wardrobes in 3 bedrooms, ceramic floor tiles/ marble floor + terracotta floor (kitchen), outside illumination, automatic irrigation, water softener, built-in BBQ + gas BBQ, first-floor terrace with sea views, long paved driveway, ample outside parking, carport, satellite/ cable TV + WIFI, alarm system, mains water + mains sewage, fully walled, fenced, manual gate.